The market for totally wireless earbuds is really maturing fast, with many entries from both new and established companies. Jaybird recently joined the crowd, with its own Run earbuds. The Logitech-owned company has long been a really solid competitor when it comes to Bluetooth headphones, and its Freedom and X-line, and in fact made some of the very first wireless sport earbuds that proved you could also get good sound with Bluetooth. Now, the Run proves that Jaybird can play well in the totally wire-free market, too. It’s the company’s first attempt at the category popularized by Apple’s AirPods, but it’s a strong first effort: The Run come with sound that’s on par with Jaybird’s other headsets, and they also benefit from the company’s ample experience helping to provide the right fit for a variety of ear shapes and sizes. Jaybird also gave the Run four hours of battery life under normal conditions, along with and additional 8 hours of charge built into the battery case they ship with. The header’s also sweat-proof and water-resistant for workouts in all conditions, and you can alter the sound with the companion Jaybird app for mobile devices, or use the ‘Find My Buds’ feature to locate them if you happen to misplace one or both (this comes in very handy, I can tell you from personal experience). The best thing about the Jaybird Run, however, is how quickly you’ll forget you’re wearing them. They’re incredibly comfortable (especially if you spring for the Comply foam tips that are available as an aftermarket add-on), and they produce a pleasing, full sound that’s suited both to music and to spoken work playback including podcasts and audiobooks. And Jaybird also does what the company does best, engineer these for use in sweat-heavy conditions including outdoor runs, which is how I used them for the bulk of my testing. Jaybird also put button controls on the Run, with each earbuds’s primary surface acting as a pressable physical control. You can use the left bud to activate either Siri or Google Assistant with a single press, and you can also play and pause music or podcasts with a button press of the right. This will also allow you to accept a call, and you can double press to skip to the next track on the right bud. If there’s one thing I would’ve liked to see Jaybird add, it’s volume control via some means of additional button presses. You can tweak settings for the buttons in the companion app to change a single press on the right to be volume up, and a single post on the left to be volume down, but that means sacrificing the play/pause and Siri/Assistant features, which isn’t ideal. Otherwise, these are a great offering in the totally wireless earbud category. 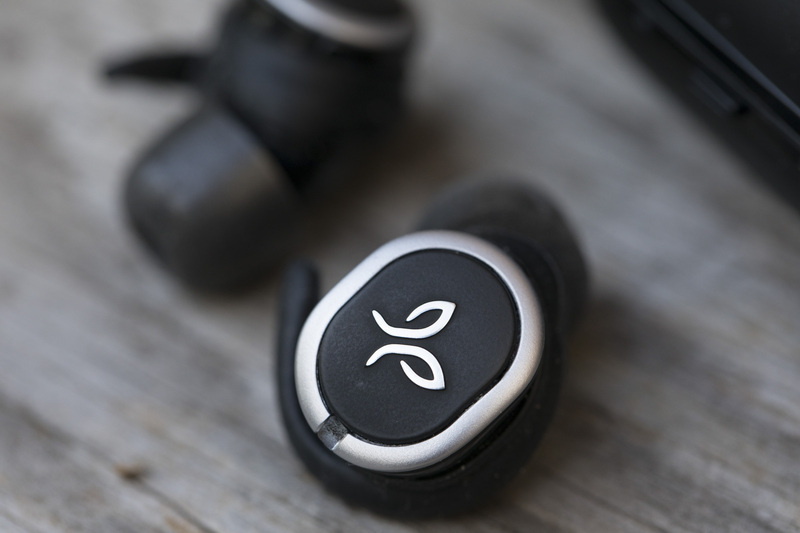 They’re flexible, produce good sound, are as durable as the rest of Jaybird’s lineup and maintain a good solid connection with your Bluetooth smartphone or other device. And at $179, they’re not all that expensive when compared to other headphones in this segment. Jaybird definitely isn’t first in with this emerging space, but they took the time and made a good product that you’ll almost certainly enjoy using.